In my last update, I told of the rotten card that life had dealt our family and the loss of my Dad. Well we pressed on as expected. 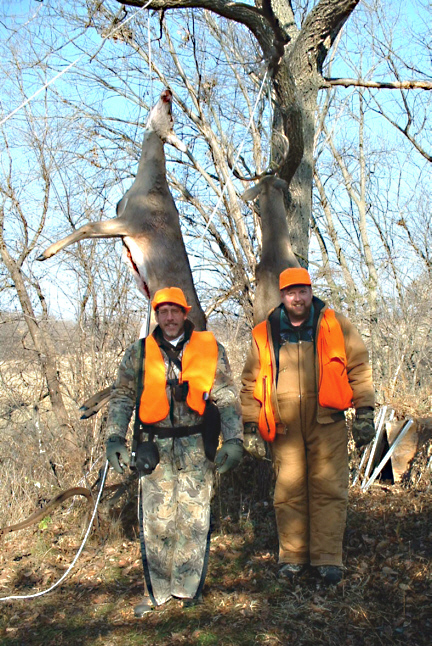 Deer season has come and gone, at least the November portion of it. The season was both awful and wonderful all at the same time. My brother and me tip toed around discussing Dad much while sitting around the wood stove in the barn. 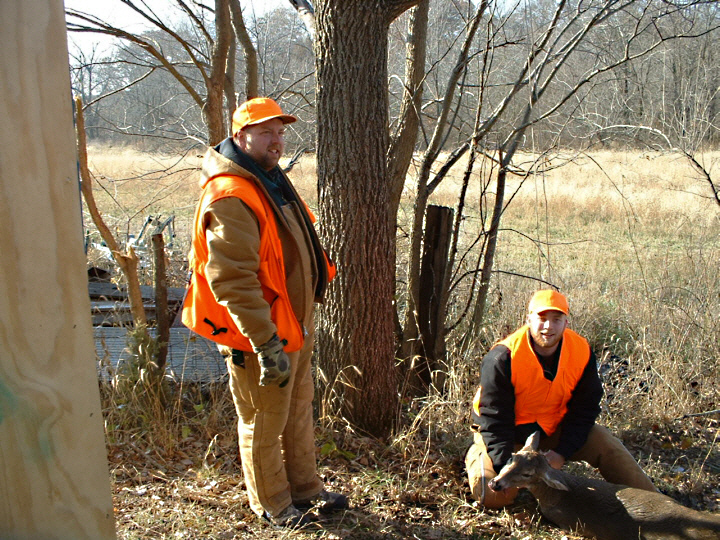 It is hard to break down and sob in front of your hunting buddies and that is where it would have ended up. Of course we missed Dad and thought of him throughout the week as we tried to figure out how to accomplish the mission of filling our deer tags. Dad could always come up with a strategy of some sort. It didn't always work but it was a plan none the less. He would have been proud of us. We had a successful season. 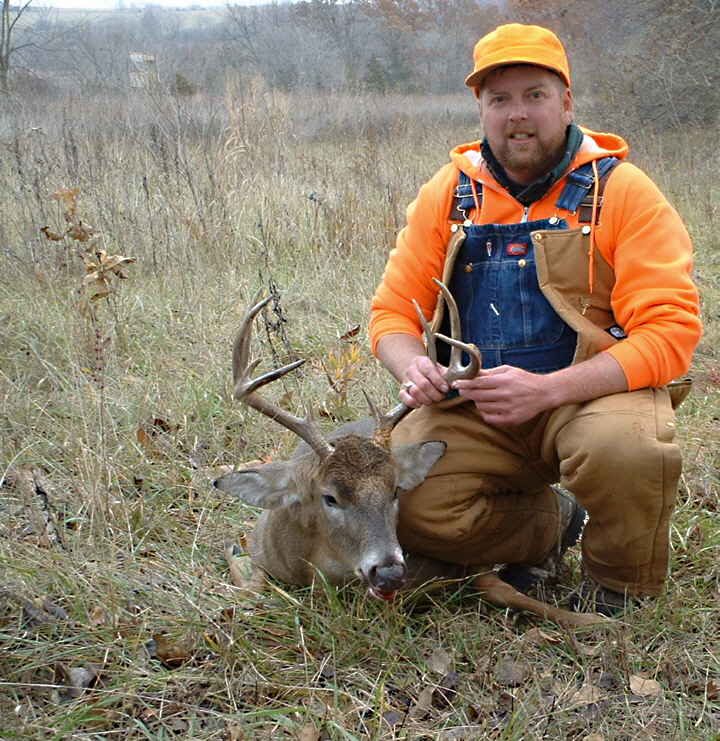 My brother scored first with the biggest deer anyone in the family has taken since Dad killed "the 9 pointer" in 1968. Another 9 pointer and a monster of a deer, my brother was pretty proud of this one. He did a great job with shot placement and put it down at well over 120 yards. Never put the range finder on it but will have to double check it. He shot it from the tower stand you can see in the background. Nice shot, one of his better shots. I was impressed. I moved to an empty treestand after noon on opening day. Sitting there contemplating going back to the trailer for a sandwich and a nap, I spotted a pair of does. They were over 100 yards through some heavy timber and acting nervous. I was sure that they had caught my scent but they were not sure which way to run. As I drew down on them with the rifle, I noticed they kept looking to their left. Sure enough, a 3rd doe had gotten in closer to me undetected. A cleaner shot by far, I moved the gun into position to take her but she just kept walking and getting closer. Every time she stopped, I had a scope full of tree. She finally stopped in the open at under 50 yards and I squeezed the trigger. It would have been a perfect shot with the 45 Colt in my shoulder holster if I had only had presence of mind. Oh well, the .243 slug went right through the boiler room and I saw her jump in the scope. She bolted away from me and the other pair were on course to meet up with her. I swung on them but man I hate trying to hit a running deer when there are trees between them and the rifle. I refrained from pulling off a second shot and out of the corner of my eye watched my deer fall. She only ran about 20 yards but it worked out well because it put her back near the edge of the timber and made for a short drag to the truck. My nephew, Kyle B. as he is referred to, got a nice doe on Sunday morning. 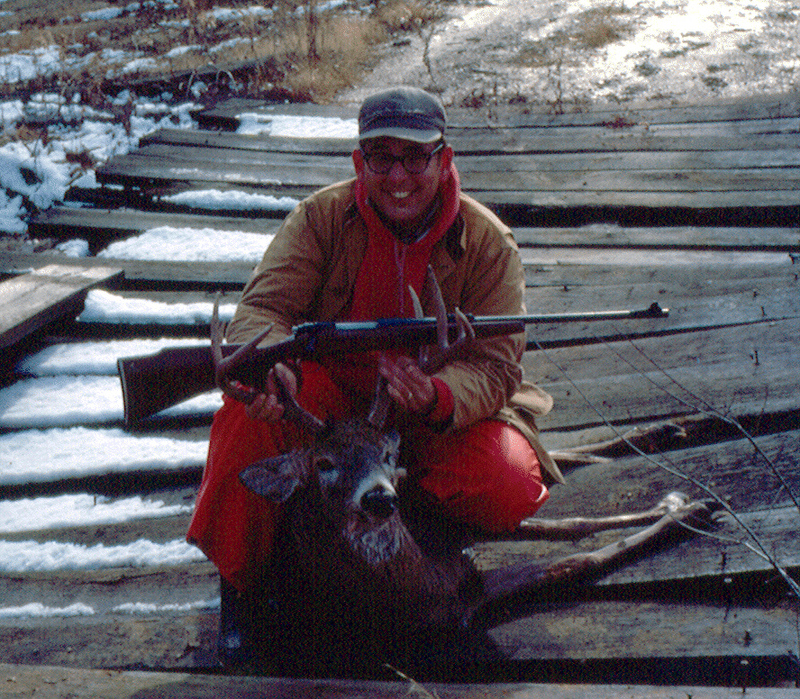 His 2nd season and sporting a 7mag he had received as a gift. He did a good job. I had gone to my tower that morning. Standing up to stretch my legs and I spotted a pair of does moving in toward the back of my stand. They just kept getting closer, obviously had no clue I was there. I had to duck back down out of sight because the sun was hitting my glasses. I watched through a strategically drilled hole in the back wall of the stand as they came in way too close for comfort. One of them got in so close I could not even see her anymore through the small peep hole. The other stopped out at 35 yards or so. I grabbed the 45 Colt off the shelf, slowly stood up and put the barrel over the wall. The glare on the red dot site was bad but I finally found her. I might as well have thrown the gun at her. I was shaking like a leaf and when the cannon roared, my ear drums all but shattered. Of course she and her buddy bounded away for parts unknown while I stood there considering what kind of hearing protection I should have been wearing. Really wasn't sure if I would even ever need hearing protection again. I always wear hearing muffs at the range but never really considered it for use while hunting. Will be doing some research, believe me. One of the hunting buddies got a nice doe Sunday afternoon. A little hard on the tenderloins but it was effective none the less. His 1st season and probably not his last, he was pretty excited. The rifle he was using was a Savage .270 that he won in a trap tournament. Lucky dog ! Not that I am a .270 fan but free is always a good price and a new Savage would suit me just fine. My brother's wife actually wanted to deer hunt this year. It would be her first attempt and she scored. Pulled off a one shot kill with a borrowed 7-08. Wish I had been there to see her excitement but from what I am told she is hooked. Anyway, enough rambling. I enjoy deer hunting but now it is time for the real McCoy or should I say the real McCoyotes. Don't have any new plan of attack but I am sure looking forward to attempting to call up a few of them this year.